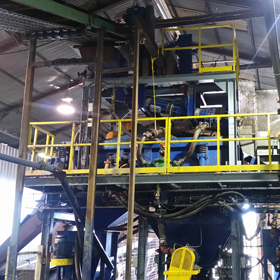 The dynamic, multi-stage Condor Dense Medium Separator (DMS) gives Sepro Mineral Systems a leading position in advanced preconcentration technology. 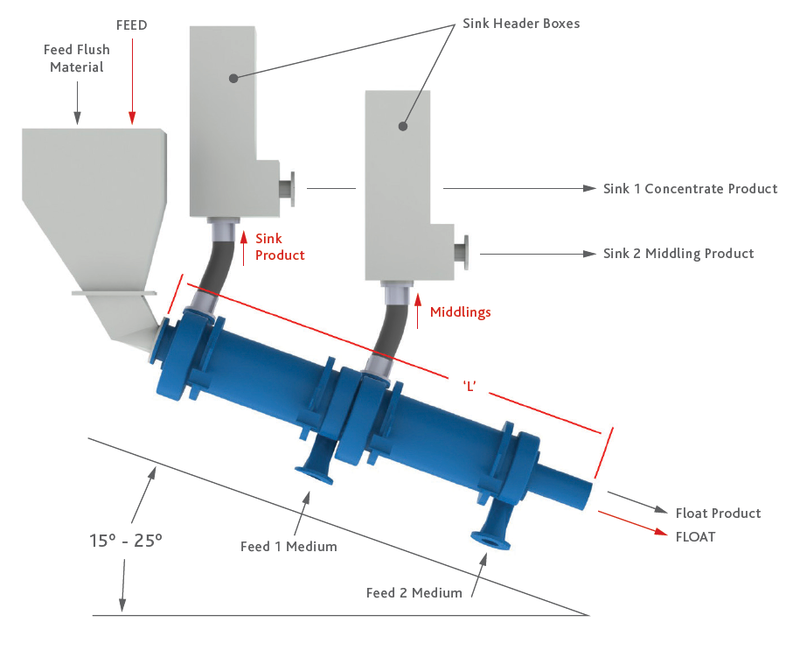 Dense Medium Separation is typically used in a pre-concentration duty prior to processing or milling to reject barren material and reduce downstream CAPEX and OPEX costs. 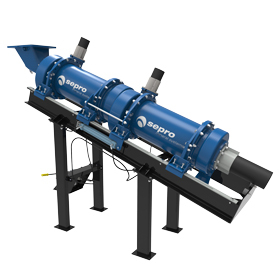 Sepro Mineral Systems supplies customizable and transportable Dense Medium Separator Plants for a wide variety of application requirements. 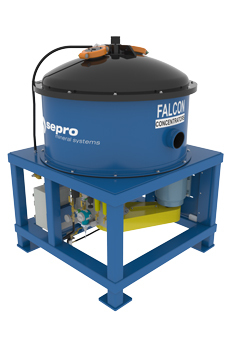 A minimum of two separation stages are inherent in the Sepro Condor Dense Medium Separator, resulting in high product separation efficiency in rougher/scavenger or rougher/cleaner dense medium multi-product applications. 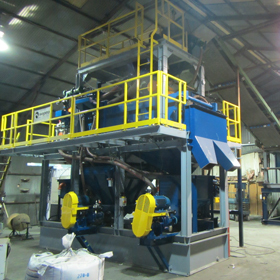 The Condor Dense Medium Separator is simple to feed, usually by a conveyor belt or from a vibrating screen. Since the ore is not pumped with the medium, pumping power requirements, wear, ore breakage and fines generation issues are significantly reduced. 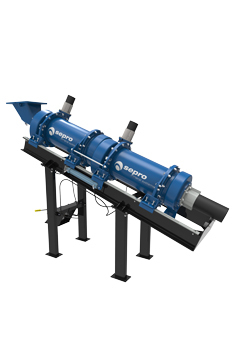 The compact Condor Separator makes it possible to convert a conventional two product DMS pre concentration cyclone into a three product operation. 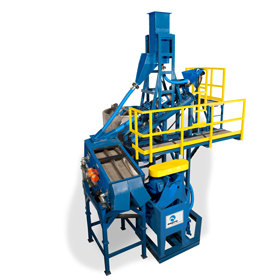 **for product awareness purposes note that a Dense Media Separator is also referred to as a three product separator, a tri-flo multistage separator or a multi product separator. Although there are slight differences in the description they are the same process. 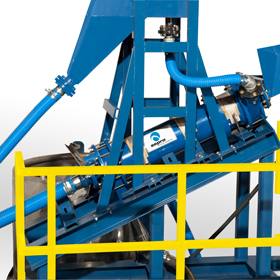 Condor Dense Medium Separators provide a simple, cost-efficient way to separate and recover valuable minerals at a coarse particle size, ranging from as fine as 0.5 mm to as coarse as 50-70 mm but typically in the range of 1- 50 mm. Dense medium separation technology is used for a wide range of mineral separations to produce premium concentrate. It is often used in for pre-concentration duty to separate metals or industrial minerals for further upgrade in a mill or plant process. The technology behind the Condor DMS is unequivocal. Ore is fed into the feed hopper and flushed into the head end of the Condor Dense Medium Separator with a small amount of the dense medium slurry. 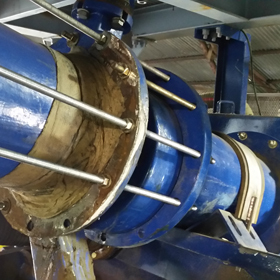 The dense medium slurry, made up of a suspension of ferrosilicon or magnetite in water, is introduced through the media inlets at the bottom end of the separator countercurrent to the ore feed. The densest ore particles are separated and transferred through the sinks outlets, while the less dense material is transferred to the second stage of separation where more sinks material can be recovered. 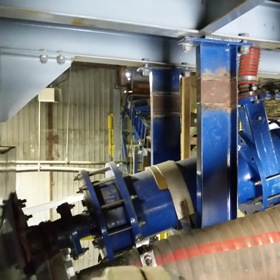 The lowest density material reports to the floats discharge at the bottom end of the Condor DMS unit. Each chamber of the Condor is equipped with an involute media inlet and a sinks discharge, ensuring that all valuable sinks are recovered during the multi-stage separation process. 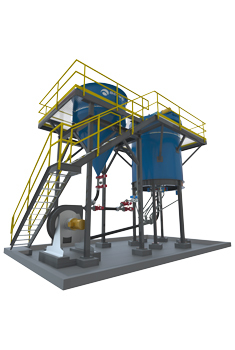 Sepro Mineral Systems supplies complete standard or customized modular Dense Medium Separation Plants featuring the Condor DMS. 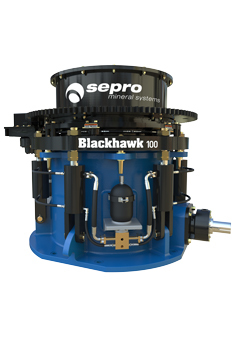 Consult with a Sepro representative to find out how multi-stage heavy liquid separation technology can benefit your application.